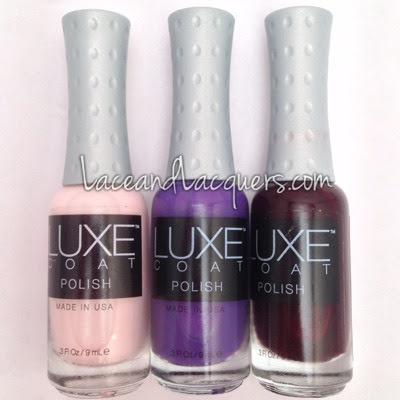 The idea behind LuxeCoat's memberships is that you get alllll the supplies for your manis and pedis in one kit. LuxeCoat box - A polish and product storage box. 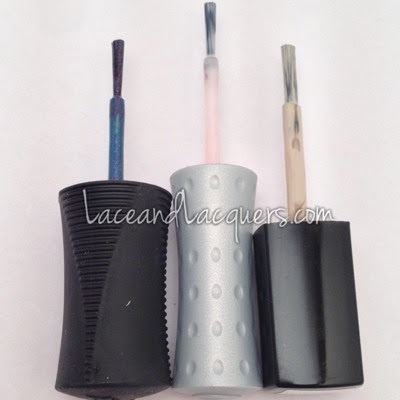 Cuticle care - 2-in-1 brush on cuticle oil treatment with a rubber end to push back cuticles. Slip in remover - Dip in sponge non-acetone remover. Quick dry spray - Non-aerosol spritz made with natural botanicals to moisturize. Nail files - 180 grit files. 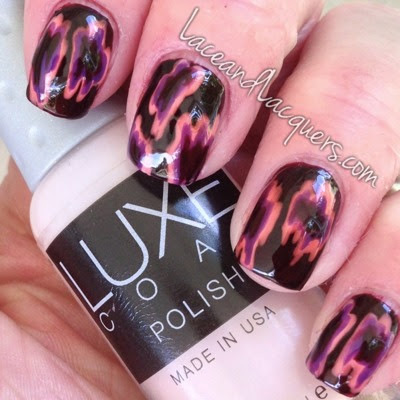 Luxetrition - Nail strengthening and growth treatment containing. 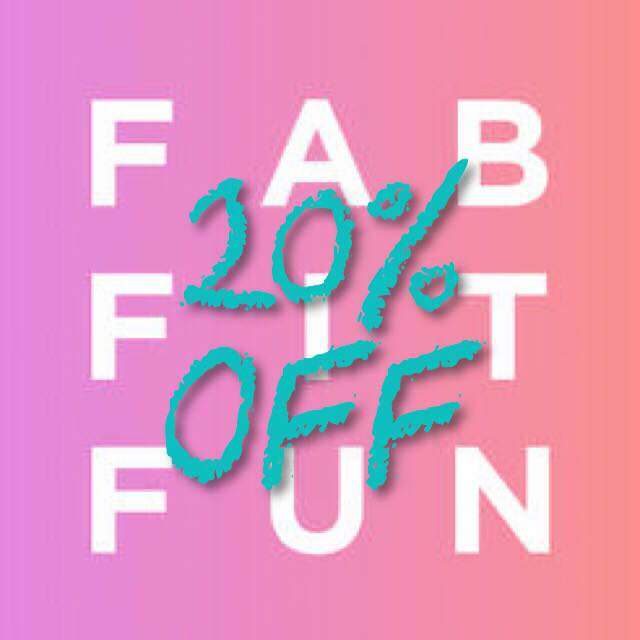 After you get/pay for your first box, each month after, the subscription will cost $22 for 3 polishes chosen by trend and style experts. Now that you have the info about the subscriptions, let's move onto the polishes! Pretty in Pink is one of those basic, pale pink, creme polishes every company seems to have. I always hold my breath hoping to find one that is good to go in 2 coats haha. I did 3 coats of Pretty in Pink. Dry time seemed about the same as a similar colored polish from other brands. I had some balding issues between the 2nd-3rd coat, but it settled well once it dried. 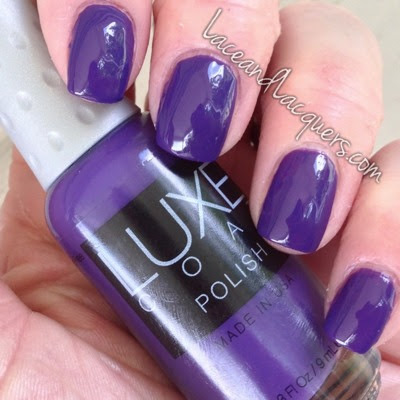 I really enjoyed this purple polish! I have a good amount of purple, but I can't say I have anything like Purple Rain. It's such a simple purple cream polish, but it's brighter deeper purple (does that make sense? haha). 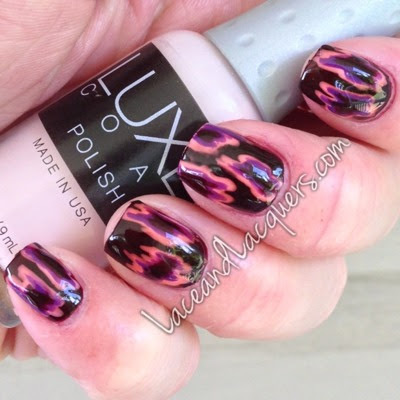 I was a bit confused by the formula because it took 3 coats to reach opacity. I was hoping for 2, so it was kind of a let down. With this polish I see why they call them quick drying, since the formulas lean a little bit on the thin side. Dry time was average though, not speedy and not slow either. Bordeaux is a deep, dark, reminds me of blood, dark wood, and black cherry flavored things (haha), red. This too was a little on the thin side and built up well after 3 coats. The dry time was fair, not quick and not slow. The one let down I had with this one was the clean up. This polish wanted to bleeeeeeeeeeed like crazy the minute my clean up brush touched it. Not to mention since it is on the thin side, it does have a tendency to run into the cuticle area. I found the LuxeCoat brush difficult to paint with. As you can see, it is a tad bit longer than the Orly and Julep brushes. That little extra bit of length made it difficult for me to control the brush :[ Which was especially a pain in the buns when it came to applying Bordeaux! The size of the brush is fine, just the length isn't for me (that's what she said!). I know what you're thinking "PFTTT you didn't use all those colors above!" Haha and yes, yes I did. When I applied Pretty in Pink over Bordeaux magical things happened and turned Pretty in Pink into a weird red/orange color. It made me a sad panda, I've never had that happen to me before! Anyhow, I feel like these polishes are good for manicures but not so great for nail art due to their slight lack of opacity. They're bot the same manicure, yes I realize lighting IS different but the colors are pretty true to how they were at different points during the day. The top is right after I finished the nail art, the bottom is later on that night. It seems as if all the colors (Pretty in Pink and Purple Rain) absorbed the color of Bordeaux. Others on my Facebook Page have said they have seen it before, but out of the numerous brands of polish I've used for nail art in the past - from the super cheap to the super expensive - I've never had this issue so it was quite alarming to me. I do feel it has to do with how thin the polishes may be. My overall opinion? This is a little pricy for me personally. I think the idea of the intro box with all the nail thingamabobbers is a good idea though. The $22 for 3 polishes is more reasonable for a subscription price, I'm just not so sure about the $100 first payment. I do like the fact these polishes are cruelty free (some might also like them being vegan friendly) and made in the USA. On the other hand, I do wish the polishes were a bit more opaque and less thin/watery and that the brushes weren't so long. I was really holding out for these polishes to be awesome, but it was a slight let down to me as I started to swatch. Maybe someone just starting out would like this subscription, but personally it's not for me. That's a pretty mani, color bleed or not. Good of you to tell us about the color bleed, though. It's important to know these things going in, and I appreciate your honesty. 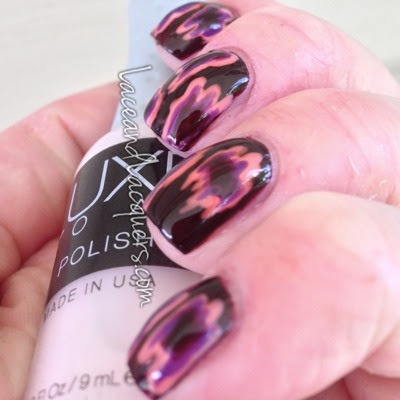 No seriously you did an ikat mani. OMG I can't even do dots. I'm leaving on a jet planeeeeee!